As the month of Hanukkah miracles begins, Messianic Judaism passes an important one-hundred-year milestone. 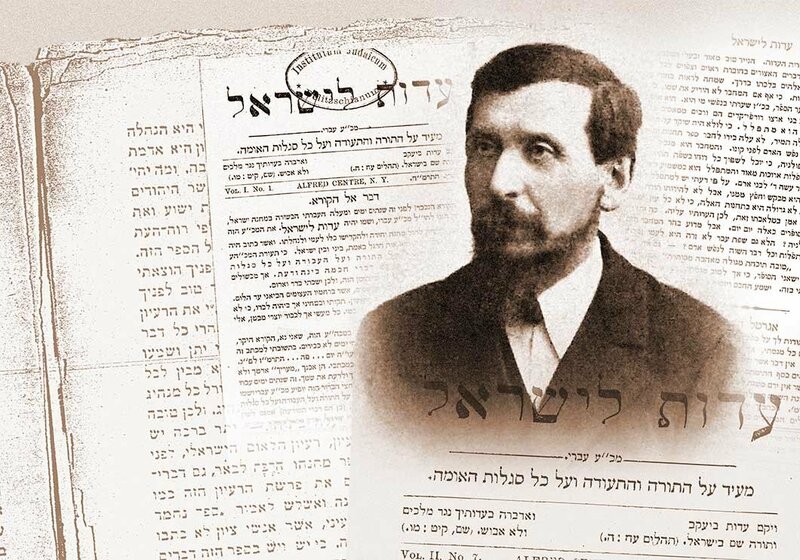 For Messianic Judaism, Thursday, December 1, 2016, should be declared our “Lucky Day” because it marks one hundred years since the death of Messianic Jewish pioneer, Chaim Yedidiah Pollak, aka, Theophilus Lucky (1854-1916). December 1 this year also coincides with Rosh Chodesh Kislev, the first day of the ninth month on the Jewish calendar. On the Christian calendar, the beginning of December invokes the Christmas season. Visions of candy canes, sugar plums, and so forth dance through the head. On the Jewish calendar, the first day of Kislev brings Hanukkah to mind—visions of dreidels, potato latkes, and Jews with swords. For Messianic Jews, however, Rosh Chodesh Kislev also invokes reflection and celebration on the yahrzeit of one of our great heroes, Theophilus Lucky. Lucky died in 1916 on the holy day of Rosh Chodesh Kislev. That makes Kislev 1 this year the hundredth anniversary of his passing and, obviously, Messianic Judaism’s Lucky Day. By the world’s standards, Lucky did not have a lucky life. Instead, he faced rejection, misunderstanding, and persecution from religious Jews, secular Jews, Christian missionaries, Jewish Christians, and Gentile Christians alike. Very few people understood Lucky’s vision for practicing traditional Judaism augmented by the revelation of the New Testament. He was too Christian for the Jews and too Jewish for the Christians. Jewish critics accused him of apostasy and Christian opponents accused him of legalism and Judaizing. Lucky was blazing a new trail cutting between both, and we now refer to it as Messianic Judaism. Likewise, in a 1910 journal called The Messianic Jew, Lucky published an article titled “Hanukkah or Christmas—Which?” The article again argued that Messianic Jews should not abandon the observance of Hanukkah. He argued that Messiah’s birth could be celebrated within the context of the Hanukkah celebration. 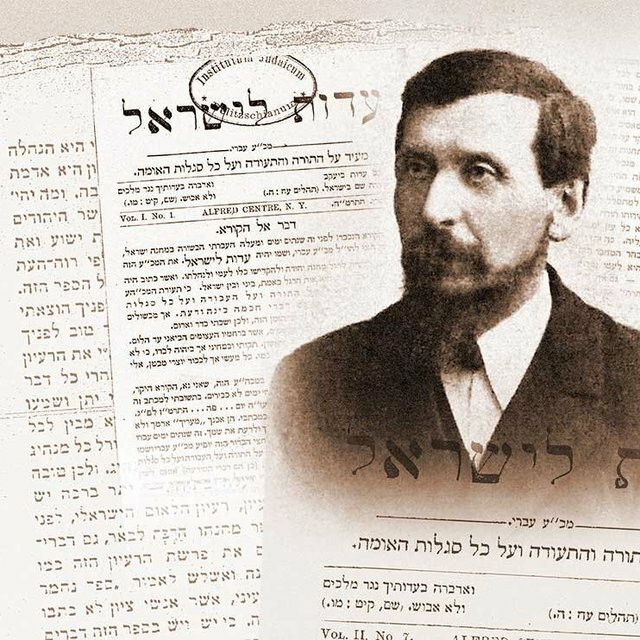 To celebrate this year’s Lucky Day and the hundredth anniversary of Lucky’s passing, we have released a newly translated anthology of Lucky’s articles under the title Testimony to Israel . 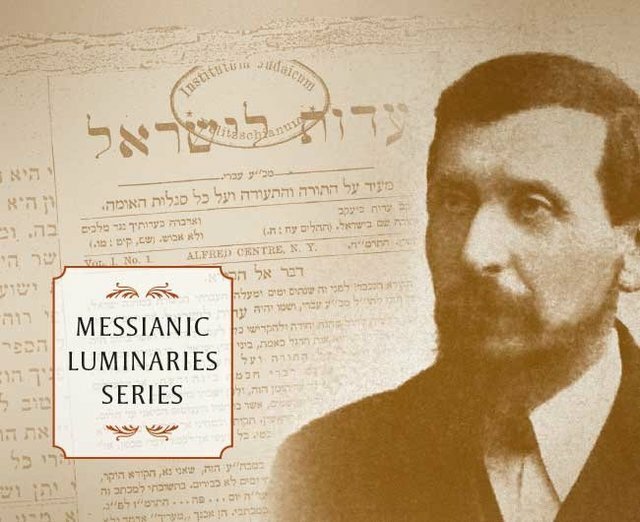 It’s the latest addition to our Messianic Jewish Luminaries Series, a series of books by the early pioneers of the modern Messianic Jewish movement. The new Lucky book could make a great Hanukkah gift for yourself or someone else. The anthology includes Lucky’s summary of the Jewish year and its holidays from a Messianic perspective, Lucky’s own commentary on the teachings of Yeshua, Lucky’s own original poetry composed in Hebrew, and many articles of general concern to Jewish believers. For Messianic Jews, Lucky’s writings are still fresh and relevant today, one hundred years later. For Christians, Lucky’s writings open a window to see Yeshua-faith from a traditional, Jewish perspective. One hundred years ago, when Lucky died, a death notice was published, describing Lucky as “a member of the original apostolic Messianic church in Jerusalem, one who was zealous for the law of his fathers and a witness of Yeshua for Israel.” It says further, “There remains, then, a rest for the people of God.” Lucky was buried in the Jewish cemetery in Plau am See, Germany where, for the last hundred years, he has awaited the coming of the Messiah. A recent trip to visit his gravesite found no memorial or headstone there. I spent last Shabbat reading Lucky’s writings from the new book. I feel lucky to have them in English, and I feel lucky to have received such a gift from Vine of David. I am grateful to First Fruits of Zion and Vine of David for keeping the flame of the Messianic Jewish luminaries burning. Men like Lucky were forerunners for the rest of us. They can be compared to the shamash candle on the Hanukkah menorah, the candle that lights all the other candles. They truly were luminaries. May the month of Kislev be a month of miracles and blessings for you, and may you have a happy Lucky Day. One hundred years after the passing of Chaim (Lucky) Yedidiah Pollak, Vine of David is proud to present this new 300-page anthology comprised of articles translated from the original Hebrew of Lucky's nineteenth-century Messianic Jewish periodical Edut LeYisra’el.